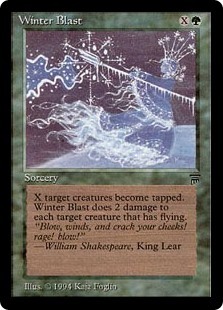 What is The Winter Blast? It’s an Old School (of course) Magic tournament being held in downtown Toronto, using slightly errata’ed Eternal Central Rules. The goals of the tournament are to have fun, gather players from a larger area than our usual Monday Meetups, and to raise money for charity. Code of Conduct: Read it here, by attending you agree to it. Can’t do that, you’ll be asked to leave. Registration: Tickets are available here and cash will be collected at the door. Tournament Structure: 6 rounds of Swiss, possibly only 5 and more time for social activities/side games, but plan on 6, 50 minute rounds. Charity of Choice: Following the global tradition of giving back to the community, all proceeds from admissions and side events will be donated to The Red Door Family Shelter. Mulligans: We want to play games and not be overly penalized for a bad draw. As such, your first mulligan will still draw you 7 cards. If that hand is no good either, then proceed to Vancouver Mulligan, eg draw one fewer card and scry 1 when you are happy w/ your hand. Proxies: Proxies are not allowed at the tournament. CE/IE cards are allowed, but proxies, fakes/counterfeits, are not permitted in the main event. If you use them for casual games, have fun, but your registered 75+ must be actual Magic cards. 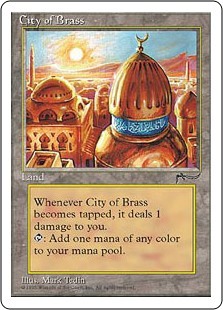 First Place Prize: Since this is geoCitiesofBrass, the first place winner will be awarded a lovely Chronicles City of Brass, signed by players and stamped for the event. Prize Card Donation: Every participant is to bring a single, EC legal, card to donate to the prize pool. Before the tournament, every participant will sign every card, and at the end everyone will get a card in commemoration of the event. Alternatively, if there are too many participants for this to be feasible, each participant will receive a card at the end of the first round, and each of their opponents for the day will sign that card. Chaos Orb Flip Contest: Pay a small fee, take turns flipping a Chaos Orb onto a target. The height will increase with each round, and we go until there’s only one winner, who will get a sweet Old School Prize. Auction: We’re working to collect some cool cards and ephemera to auction off to raise more money for the chosen charities. If you want to donate, let me know and we can figure that out. Guess the Cards: We’ll have some number of cards that you’ll need to name. Pay a small fee to receive the form, fill it out with your guesses and the folks who name them all correctly will be entered into a drawing for a fun prize. Spiciest Deck Award: We very much want to encourage people to play fun decks that they enjoy. Sure, the competitive winner will get a prize and have the bragging rights of crushing their foes, but we’re also figuring out a way to choose the “coolest” deck to award something special to as well. Prize Support: A lot of prizes have been donated by individuals and I’ve done my best to allow them to decide how their contributions are used. 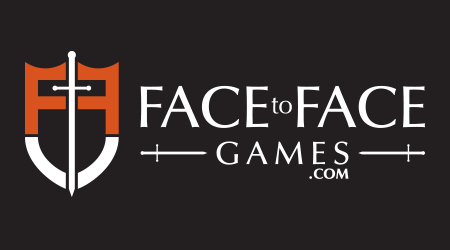 Additionally, local game store Face to Face Games Toronto has generously donated prize support and will also have a strictly old school booth at the event. So bring those new ugly border cards to trade in for some real spice! After the tournament, we’ll probably want to play more games, but finding a place for all of us might not be easy, but we’ll figure out a place, or places, for us to go. It might be our usual haunt, The Bar With No Name, or invade a hotel if folks come in from out of town. Basically, we’ll play it by ear, but acknowledge that we love this game and want to maximize our play time. Finally, We want to thank and credit all those who came before us. We are borrowing heavily from what I’ve heard on podcasts (Flipping Orbs, Pitcast, and All Tings Considered), as well as read on various blogs and twitter accounts. We wouldn’t be able to do this without the fantastic groundwork laid by the global #oldschoolmtg and #mtgunderground community. The venue, Beverley Halls, is located just south of the University of Toronto campus, very centrally located in Toronto. There’s free underground parking, and is easily accessible by transit, either via College Street or Dundas Street. It has a cash bar, with most drinks being between 5 and 6 bucks. There are lots of food options on the major roads, north and south of the venue. We’ll have a break somewhere around 4 or 5 pm for Chaos Orb Flip contest, which is also a good time for players to stretch their legs and get a bite to eat. The venue itself is run by The Polish Compatants’ Association (SPK) and is all volunteer run, so please be cool with the staff.